Offering you a complete choice of products which include wpc foam sheet and wood plastic composite foam sheet. Supported by a team of experienced professionals, we have been able to offer our clients high grade WPC Foam Sheet. Offered composite is manufactured utilizing premium quality raw material resourced from the authentic vendors of the market. Also, this composite is offered in various sizes as per the definite desires of the clients. We offer this composite at most competitive price to the clients. 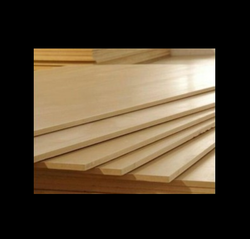 Taking quality as our prime concern, we are engaged in providing Wood Plastic Composite Foam Sheet. Keeping in mind the specific requirements of various industries, these sheets are developed with perfection. Further, these foam sheets are packed properly to ensure safe dispatch at the clients' premises.